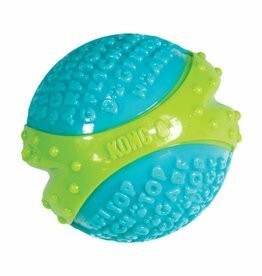 Range of dog toys form the quality manufacturer KONG. 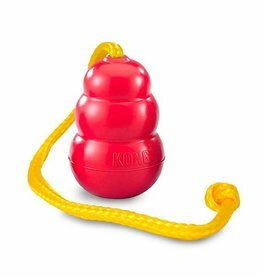 KONG AirDog Squeaker Ball with Rope, Medium combines two classic dog toys, the tennis ball and the squeaker toy. With a strong rope, to create the perfect fetch toy. 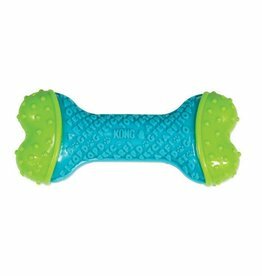 KONG AirDog Squeaker Bone combines two classic dog styles, the tennis ball and the squeaker toy, to create an instantly recognisable bone shape. 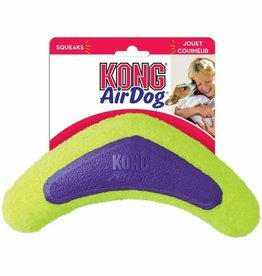 KONG AirDog Squeaker Boomerang. 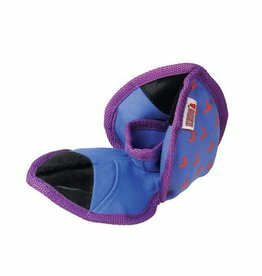 Will not wear down a dog’s teeth, as it’s made with a nonabrasive felt, Twin textures of rubber and Kong felt make the toy more interesting. 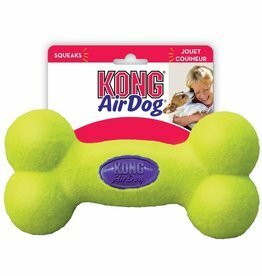 KONG AirDog Squeaker Dumbbell combines two classic dog toy styles, the tennis ball and the squeaker toy. Great for throw and fetch games. A perfect shape for your dog to pick up. 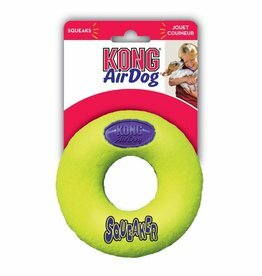 Kong AirDog Squeaker Fetch Stick with Rope floats high on the water and comes with a high-quality throw rope. Its made from Kong nonabrasive tennis ball material. 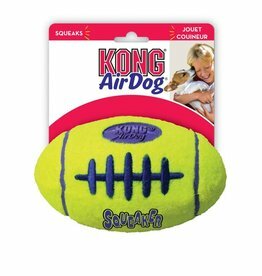 Kong AirDog Squeaker Football combines two classic dog toys, the tennis ball and the squeaker toy, for an instantly recognisable rugby football shape for the perfect fetch toy. 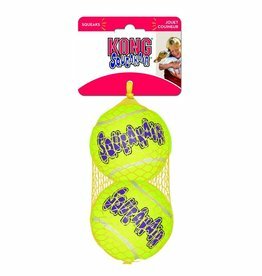 KONG AirDog Squeaker Tennis Ball.in a variety of sizes and packs. 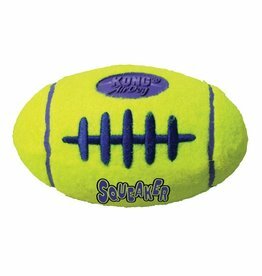 Squeakair tennis toys combine the tennis ball and the squeaker toy, to create the perfect fetch toy. 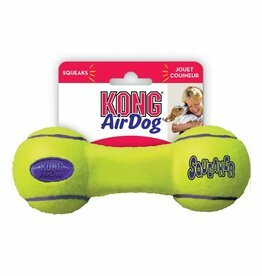 KONG AirDog Squeaker Tennis Ball, Extra Large. 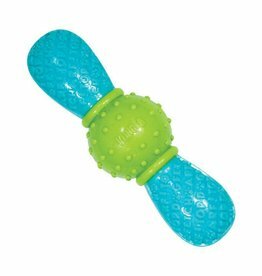 Squeaker tennis toys combine two classic dog toys, the tennis ball and the squeaker toy, to create the perfect fetch toy. 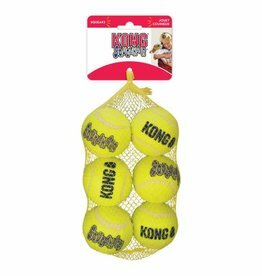 KONG Squeaker Air Ball Dog Toy Medium 6 Pack. 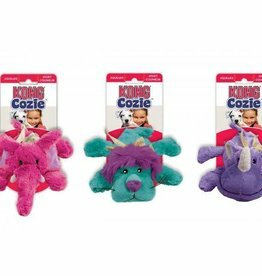 A multipack of this popular pet toy. 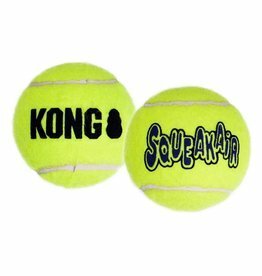 AirDog 'Squeakair' Ball combines two classic dog toys, the tennis ball and the squeaker. 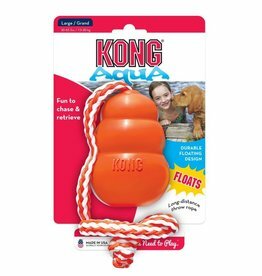 KONG Aqua Cool Floating with Rope The Aqua is a highly visible bright orange colour, with a tough nylon cord in orange and white, to enable you to throw it longer distances. KONG Ballistic Hide 'N Treat Dispenser Dog Toy. 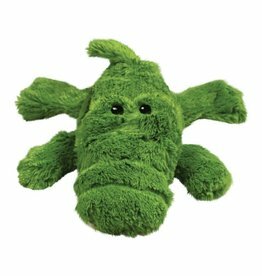 This durable plush toy, delivers two-in-one action, as a challenging treat puzzle and doubling as a fetch toy when closed. KONG Bounzer. 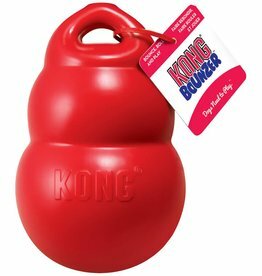 Made in the classic KONG silhouette, the Bounzer compresses when picked up by the dog, releasing air from the toy which encourages play. KONG Classic with Rope Dog Toy. 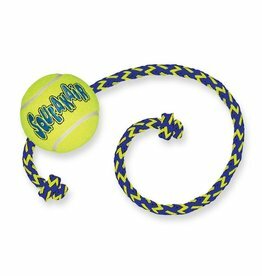 A fun twist on the original Classic with a throw rope for long distance retrieval and training play. Ali Alligator Made with an extra layer of material so they're extra tough and will last longer. With an added squeaker to encourage play. 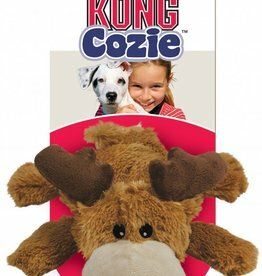 KONG Cozie Marvin Moose - X Large. Made with an extra layer of material so they're extra tough and will last longer. With an added squeaker to encourage play. 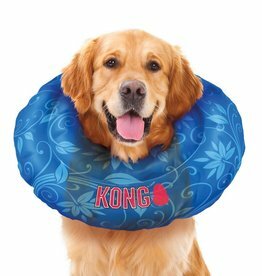 KONG Cushion Recovery Collar provides relaxing comfort for pets during recovery. Inflatable, air-cushioned collar helps protect injuries, rashes and is great for use post-surgery. 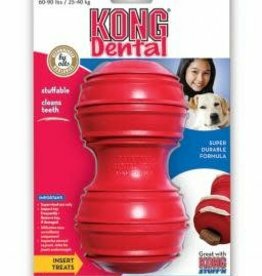 KONG Dental Red Dog Toy has specially patented grooves that help clean teeth and gums as your dog chews. 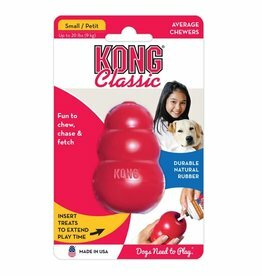 Made from durable Kong rubber and with Patented Denta-Ridges.